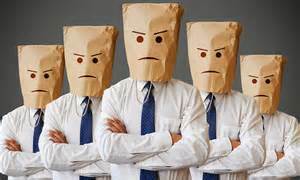 How Unhappy Are Your Employees? Those types of numbers can lead unwelcome scenarios for your organization. For example, people who are dissatisfied in their jobs will leave — either physically, or sometimes worse, mentally. Usually, the best performers are the first to go when they are dissatisfied. They are highly marketable, and they know it. On the other end of the spectrum, poor performers will often not leave but simply continue to be dissatisfied. The bulk of the dissatisfied workforce will stay. That is, they won’t be the first out the door, but they will begin mentally shutting down. They will begin to only do what absolutely needs to be done or only what will impact their merit increase. They will come in at 8:00 a.m. and walk out precisely at 5:00 p.m. And once they see top performers leaving, they too begin to look toward the door. Look at your team. Who’s a flight risk? Whose departure would significantly impact the business or the team? Who’s not going anywhere but at the same time is not as fully engaged as they once were? Create re-engagement strategies and contingency plans to implement if a performer leaves. Look at yourself. How satisfied are you? Does your performance reflect your satisfaction? As a leader, your team takes direction from you. are doing something meaningful, have a choice in their work activities, feel they are performing competently, and are making progress. Are you helping them build their capacity through coaching? Do they have the skills and knowledge to perform competently? Are they able to use their strengths? Have you spoken with people about how they perceive their current work and working environment. How do they feel about it? What interests them about it? What frustrates them? Have a conversation and create a plan together to build on what’s good and to address what can be changed. Don’t throw money at something, unless that is the real issue. In the same way, avoid contests, employee of the month programs, one-time bonuses. These things do create motivating environments for a short period of time—until the momentary glow wears off. Money will not work long term. You need to think about the real motivators. 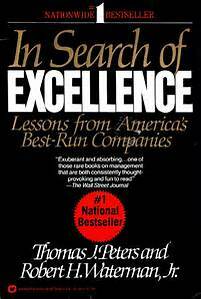 Authors Thomas and Tyman refer to real motivators as meaning, autonomy, progress, and competence. Dan Pink, in his book Drive: The Surprising Truth About What Motivates Us, talks about autonomy, mastery, and purpose. Finally, on the chance that a poor performer leaves, how attractive is it for a strong performer to join your team? http://nextbridgeconsulting.com/wp-content/uploads/logo-2-new_lngc2.png 0 0 nextbridgeconsulting http://nextbridgeconsulting.com/wp-content/uploads/logo-2-new_lngc2.png nextbridgeconsulting2016-09-14 08:00:462016-12-25 04:52:03How Unhappy Are Your Employees? I listened to a TED Talk yesterday while I was on the elliptical (got to keep up with that New Year’s resolution). It was about how we are losing our ability to listen. As leaders or business owners we spend a lot of time talking. We are giving direction or input to our employees. We’re talking with customers. We’re talking with people at networking events. We spend a lot of time working on getting our story out there. This talk reminded me of how critical listening is for those of us who are leading others. 1. Open every conversation by asking the other person a question. This question should not be a perfunctory ‘how are you?”. Make it a question that is really about something. Focus on listening to the answer, not waiting for the other person to be done so you can get on to your real agenda. 2. When you have listened to what someone has to say, reflect or summarize. Anyone who has taken an active listening course knows that this is a technique to show the other person you are listening. I’m not suggesting it for that reason. Rather, by verbally saying what you’ve heard out loud, you are hearing it again and increasing the likelihood that you are actually listening to the words meaning. 3. Institute the ‘no multitasking’ rule during conversations. More and more I attend meetings where people think it is perfectly okay to have a laptop or smartphone in front of them so that they can multitask. This may sound efficient, but in reality it completely undermines the ability to listen and engage in what is going on. The human brain doesn’t work that way. It needs to be focused on what is being said. When you are visually looking at something, the sound becomes background noise. Most of the time, the person sending the text or email can wait for your reply. 4. 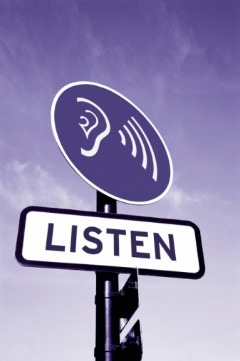 Create listening posts. Create opportunities for others to have your undivided attention. Establish a regular time when you’ll be available for an individual or group to speak with you when you will give them complete, undivided attention. Make it immutable. At the end of the week, assess the impact of your listening on your decision making, your relationships with your team and your awareness of what is happening in your organization. 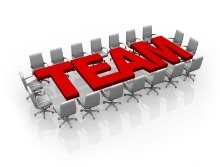 The word and idea of a team gets used a lot in corporate America. Managers talk about their teams. Teams are pulled together to solve business issues. Teamwork is touted as the best way to achieve results. I’m often asked to work with teams who are not performing as well as they should be. Some are outright dysfunctional. And, sometimes, the group is not a team at all. They are a group of people who report to a particular manager or who serve a particular client group. Usually, the person who brought me into the organization thinks they are or should be a team, but in reality, they aren’t or don’t need to be. Lack of common purpose: A team needs to have a common purpose that can only be achieved by the members of the team working together. If the purpose can be achieved without that kind of collaboration or if the only commonality is that we have the same boss, it’s not a team. Individual, not shared, goals: Teams have shared goals and accountabilities. If each individual only has individual goals and there is no need for shared goals, then what is it we are all trying to achieve together? Team members aren’t bought into the cause. If the team members don’t find the purpose of the team to be compelling and can’t really see how they add value, there is no team. Team members need to believe that the work being done by the team is important. They need to be committed and motivated to achieving the results. They only get together to share information. Many of us have been in team meetings where the sole purpose is for each team member is to update the other team members and this is the only interaction the team members have with each other. Teams exist to take action against a shared purpose and goals. If we do not work collaboratively to generate ideas, to make decisions or to execute specific actions, then the “team,” is really a very labor-intensive communication vehicle. The “team” is a distribution channel. It’s not really adding any value, just getting information from one point to another. http://nextbridgeconsulting.com/wp-content/uploads/logo-2-new_lngc2.png 0 0 nextbridgeconsulting http://nextbridgeconsulting.com/wp-content/uploads/logo-2-new_lngc2.png nextbridgeconsulting2012-06-06 10:00:392016-12-25 04:53:41Are You Really a Team? 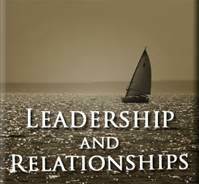 I’ve referred to our Leadership in the Next Decade research quite a bit lately. When I read this, it reinforced the wisdom that our respondents shared with us about where leaders need to focus to build success and business results in the coming years. One of the top leadership abilities respondents identified as critical was ‘creating a compelling vision and strategy’, in other words providing context, helping people understand why. Pink’s quote brings home the other side of the equation — listening to why others are in their roles. By listening to what people throughout the organization have to say, we will be able to understand why they have chosen to be part of this larger organization and to build alignment of purpose for an ever larger part of our organizations. Why am I in this role? What makes you get up in the morning and come to work? Have you shared that story with others in your organization? Why are other people in their roles? Do you have any idea why the people on your team choose to be there? What about your peers? Your boss? Why does our organization exist? 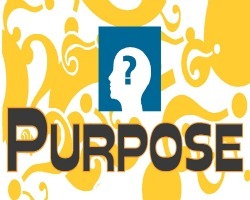 What is our compelling purpose? I would argue that if you can only come up with “to provide shareholder value” you are going to come up short in the eyes of many people. Many people don’t think that the main reason they come to work is to drive up stock prices for investors. That may be an outcome of the work that is done and the value the organization creates but it’s not really the context people are thirsting for. How do these 3 whys align? We may have different reasons for being in our roles and still be aligned around a common purpose. How does our collection of why’s build the tapestry that delivers value to our customers, shareholders, employees, and communities? http://nextbridgeconsulting.com/wp-content/uploads/logo-2-new_lngc2.png 0 0 nextbridgeconsulting http://nextbridgeconsulting.com/wp-content/uploads/logo-2-new_lngc2.png nextbridgeconsulting2012-02-08 10:00:042016-12-25 04:53:57Why Are You A Leader? This question often feels like one of those grandiose, navel-gazing questions that we don’t really have time for in our resource-constrained, time-strapped, multi-tasking world of work where we seem to face new adversity everyday. However, when you give it more thought, it actually may have some benefit in helping us deal with our resource-constrained, time-strapped, multi-tasking lives. You see, purpose should serve as the focus for our activities. It should help us decide what’s important, what needs doing, and what doesn’t have to be done or can be done later. Purpose is multi-faceted. We may have a singular purpose that is manifested in multiple ways. Or we may have different purposes, all of which have deep meaning for us. As leaders, by returning to our purpose, we can prioritize and evaluate what is asked of us daily. If your purpose is to serve customers, you should ask yourself how you are leading your team to achieve that result? If your purpose is driven by the core values of competence and collaboration, how are you creating an environment where that can occur? As leaders it’s also important to understand not just your own but also each team member’s purpose and to help create an alignment between that and what you are asking them to do. So, take a few minutes of solitude and ask yourself ‘what’s my purpose at work?” Then go through your to do list and look at it through the lens of your answer. You may be surprise at what happens.